For a time, it seemed that a great storehouse of women’s treasure had been forever lost; the stories of heroines who had awoken to the call to adventure, and faced down challenges, in order to bring the gifts born through their trials into the world. 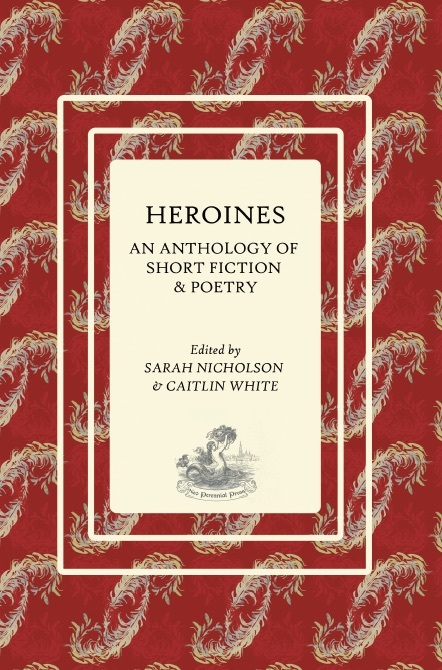 The Heroines Anthology tells tales from before time began. Its stories travel alongside some of the forgotten women of history, and it imagines its heroines all the way into the unknown territory of the future. Featuring - Toni Brisland, Aislinn Batstone, Emily Brewin, Sue Clennell, Kerryn Coombs Valeontis, Eileen Chong, Therese Doherty, Jane Frank, Laura E. Goodin, Maddie Godfrey, Maria Haskins, Annika Herb, Julie Kearney, Elise Kelly, Kathyrn Lyster, Tamara Lazaroff, Antonina Mikocka-Walus, Catherine Moffat, Jaya Penelope, Joyce Parkes, Louise Pieper, Sarah Rice, Gail Willems & Jena Woodhouse.